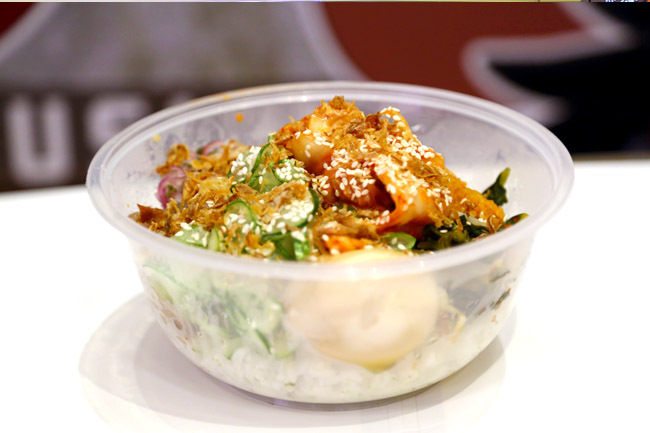 After a trip to New York, I was quite blown away by the food truck culture, especially those offering Korean-meets-Mexican tacos, burritos and kimchi rice bowls. Grubby and hearty. 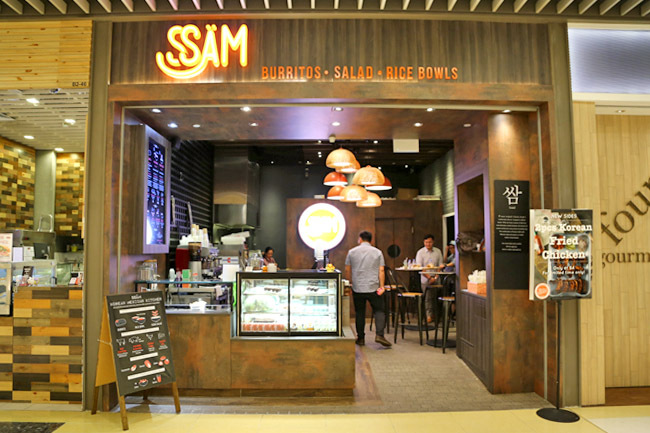 Imagine my delight when I saw SSÄM, which offers this fusion of Korean and Mexican cuisine inspired by popular food trucks in the USA. 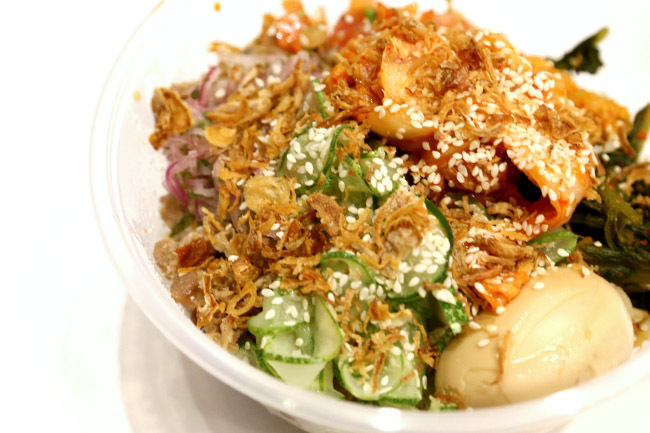 What you can expect is Korean Galbi with Mexican salsa and spices, which they term as “SSÄMsational”. 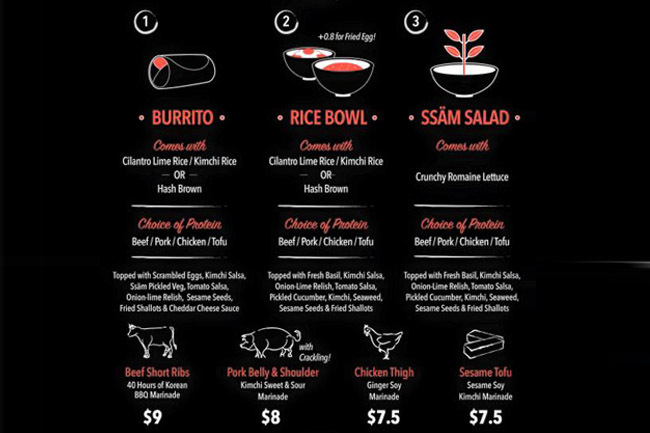 The Rice Bowl, with options of burritos and salads, is priced afford-ably from $7.50 to $9.00. other ingredients such as fresh basil, tomato salsa and kimchi. The Beef Short Ribs which was marinated for 40 hours with a special Korean BBQ sauce, gave the otherwise plainer rice some burst of flavours. 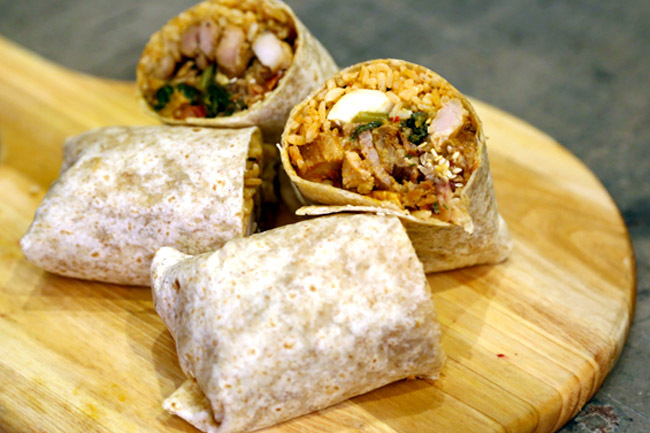 The healthier SSÄM burrito or salad option comes with crunchy romaine lettuce, with choices of the Beef Short Ribs; Pork Belly & Shoulder with kimchi sweet and sour marinate; Chicken Thigh with ginger soy marinate, and Sesame tofu with kimchi marinate. Good news if you are working at the MBFC area. Pre-orders are available, and delivery service can be done within the building for orders before 11am.